CTR 2010 Status and Updates. 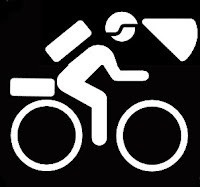 Bikepacking.net forums > Forums > Ultra Racing > CTR 2010 Status and Updates. The following 40 people lined up for a rainy adventure this morning! I'll update this list with status on occasion. Chris Miller bailed @ B.V.
Doug Johnson bailed @ Swan River Rd. Kurt Ireland bailed @ B.V. The clock started at 6:45 AM. All but Mark Caminiti have SPOT trackers and are on the CTR leaderboard. The SPOTs are notoriously difficult to get into tracking mode when you have pre-race jitters and wandering-last-minute-anxiety-brain wondering if you packed all the right gear, etc. etc. So, if your favorite racer isn't showing up, and you communicate with them during the race, let 'em know. All the units must be reset every 24 hours, so as long as everyone remembers to do that, we should be getting all the Spots tomorrow. Re: CTR 2010 Status and Updates. Ethan P., Jeff K., Jesse J. and Doug J. are in the breakaway pack on the US-285 detour. Last year, with heavy weekend RV and Truck traffic, this section was the scariest part of the race. This year, there is an extra 5 miles of dirt road to avoid some of the pavement, and hopefully Monday traffic will be much lighter. At over 12,000' between Kenosha Pass and Breckenridge, this is one of the higher places along the trail. Fortunately, the racers will only be above treeline for a mile or so. love the initials on the spot dots! Thanks again SM for providing the tracker page! Happy birthday to emily c! Have fun out there y'all!! Leadville for breakfast is the first big goal, who will make it? Thanks for the new thread and updates, Stefan. Several riders made it to Georgia Pass in under 10 hours. Owen's split was over 11 hours last year. Stefan, any comment on how much time the new start location might have chopped off? It started about 2000' higher, right? Maybe an hour, some of which is offset by the highway detour, right? Looks like Doug Johnson is riding down Swan River? Sure looks like it to me. Mechanical, seeking a shop in Breck before they all close? That was my thought also, if so it’s a good place leave the trail as it’s pretty quick to get back. Rode Kenosha to Georgia out and back today and saw many riders on my way back in the pouring rain. Have to give a shout out to all you racers toughing it out in the elements. Good luck to all!! it might have to do with the couple of miles just prior to his detour. they drop a burly 1600ft. plenty o' roots/rocks/reggae in there! a real brake pad-gobbler in the rain! This year, the start is ~3 miles shorter and ~900' less elevation. However, it is very twisty singletrack punctuated by short steep hike-a-bikes rather than 6 miles of graded, slightly uphill road. I'd guess it to be only 15-20 minutes faster. However, that benefit is countered by the 15-20 minute slower hilly gravel detour out of Bailey. In a nutshell, if the Course Record is broken by even a few minutes, it'll be the real deal. Even with the immense speed and talent in the front lines, my best guess (given the weather forecasts) is that Owen's record will hold for another year. Can't wait to watch and see if I am proven wrong! Wow, mucho respect for all the riders out there. Can hardly see the CTR track when the weather radar is overlaid -- it's pouring! Even with the rain the frontrunners are FLYING! Those are some very hard and very wet boys and girls. Ride on! P.S. Scott, thanks for the very cool weather radar feature. And the initials, too. Pure genius. P.P.S. I'm sure the record can be broken, but these conditions will make it so rough. I'd love to see it happen though! I know John Fettis is from the UK, any others out there? Looks like everyone is settling in the night, with Jesse and Ethan around treeline waiting to finish the climb over Ten mile range tomorrow. Its been a while since I have ridden over that range instead of around it, but I remember its exposure just after the saddle followed by wild flower feilds and then some tree bashing switchbacks. A fun one. Was this section in last year's too? Looks like Jesse and Ethan are still going! I'm excited to follow Sean Allan's progress as I have raced against him in the past and it sounds like he is going for a similar pace/sleep strategy as I would go for. I'm very interested in doing this next year. Harris and Eszter are still going as well by my last check. Dug Johnson is out according to facebook. James Leavesley seems to be heading for Breckenridge. Hope he's OK!